Steinbeck: A Life in Letters constructs an alternative biography of the iconic author through some 850 of his most thoughtful, witty, honest, opinionated, vulnerable, and revealing letters to family, friends, his editor, and a circle of equally well-known and influential public figures. Dated November 1958, Steinbeck’s note is a response to his teenage son’s declaration that he had fallen for a girl he was at boarding school with. 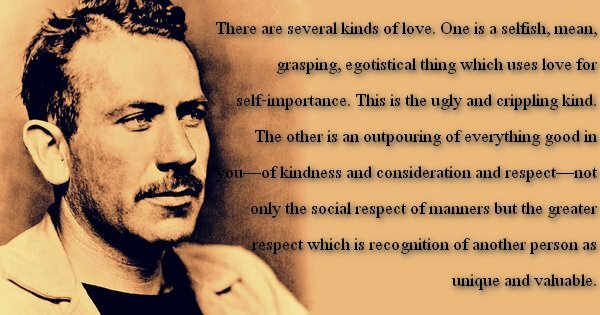 Steinbeck’s words of wisdom—tender, optimistic, timeless, infinitely sagacious—should be etched onto the heart and mind of every living, breathing human being.